Richard J. Norelli - 1st Priority Mortgage, Inc. Excited to be a member of the 1st Priority Mortgage family, Rich brings his expertise, enthusiasm, and experience to all of his trusted clients; helping to create a positive and satisfying home buying experience. 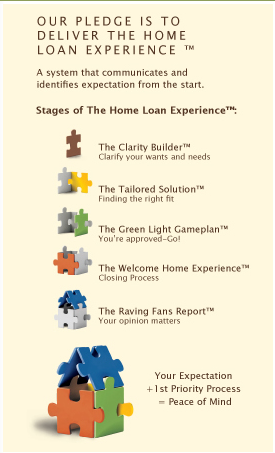 First time buyers benefit from Rich’s emphasis on understanding all the key details of the mortgage process. Experienced home owners appreciate Rich’s depth of experience and familiarity with the many changes in mortgage financing! Before joining 1st Priority Mortgage, Rich served as a Senior Loan Originator, Community Lending Specialist, and Director of Alternative Financing. As President of Rehab America from 1998 – 2003, Rich's team recycled vacant, decaying urban housing into owner-occupied residences. Financed with private capital, more than 100 property renovations were completed in low income neighborhoods. Rich served on the boards of Northeast Parent & Child Association, Schenectady Youth Boxing, and Clifton Park's Youth Ballet.